When I was a mere lad of six (cue HOVIS music), I recall buying the 1965 TV CENTURY 21 SUMMER EXTRA and committing a wanton act of vandalism. 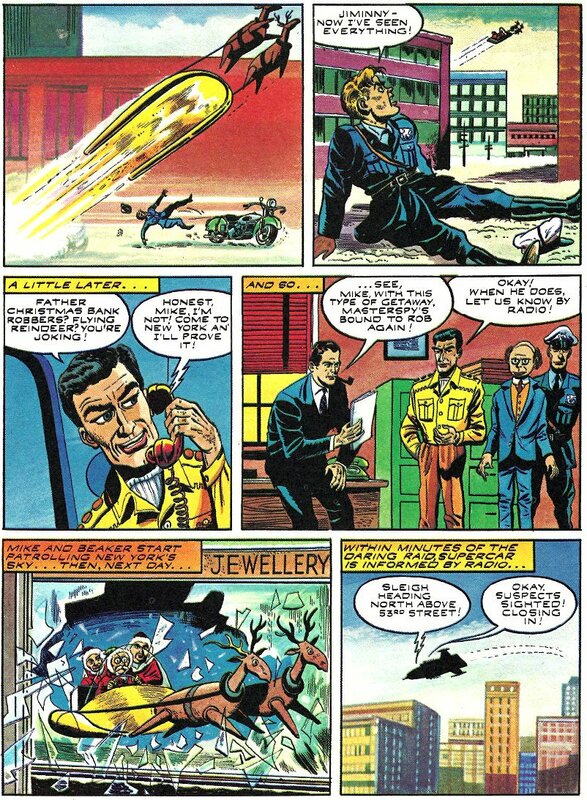 After I had read it cover to cover, I cut out the figures of TROY TEMPEST and 'PHONES' SHERIDAN in the panel below (and perhaps even glued them onto card) and then had all sorts of imaginary adventures with the intrepid STINGRAY duo. I recall standing near the back livingroom window, near the sideboard, and 'swimming' them past the window as if it were a goldfish tank. 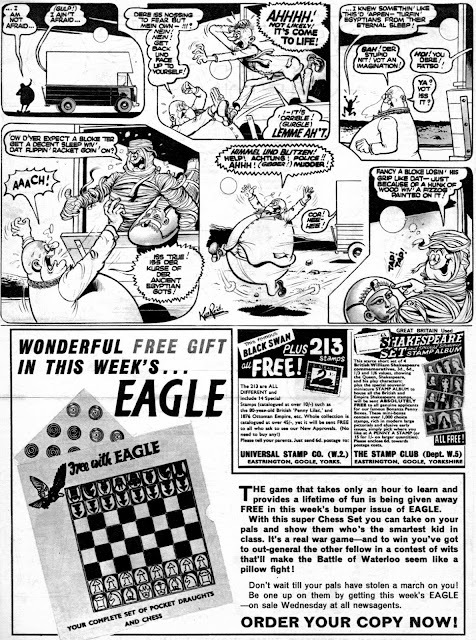 Of the one year and three months we spent in that house (which seems far longer in memory), that's the only recollection from that time which I now associate with either the window or the sideboard. 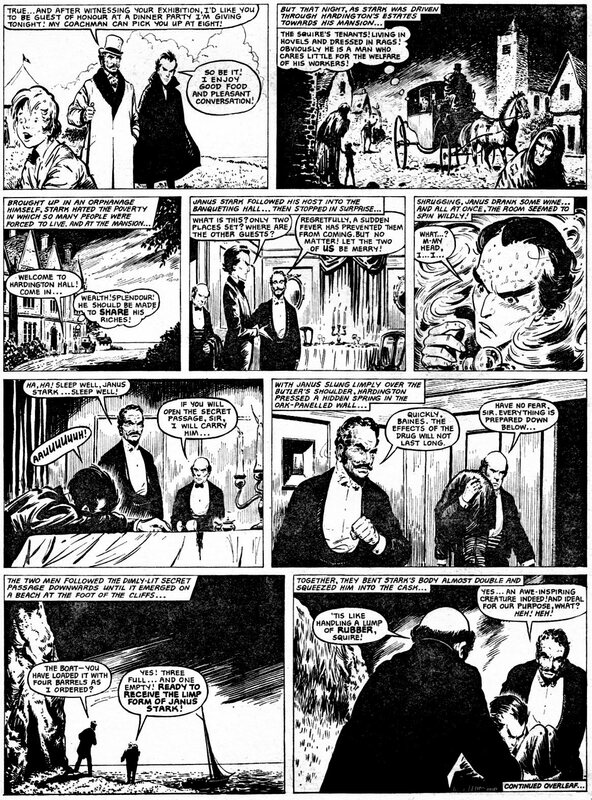 However, pray overlook my sleep-inducing self-indulgence and let's get down to pleasure. I thought that you, too, may enjoy poring over old images from childhood and stirring up your own memories of the above 48 page bumper bonanza. 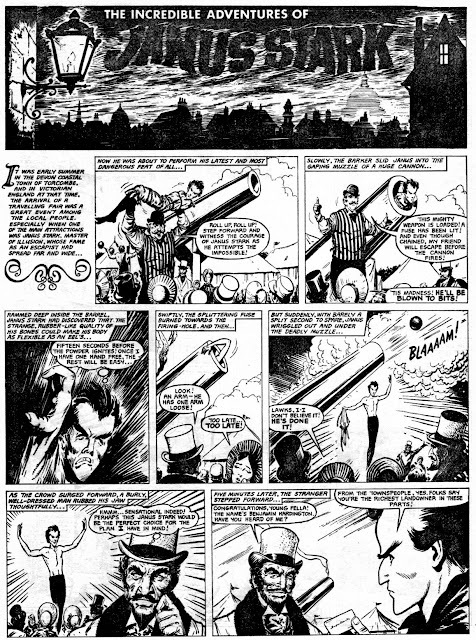 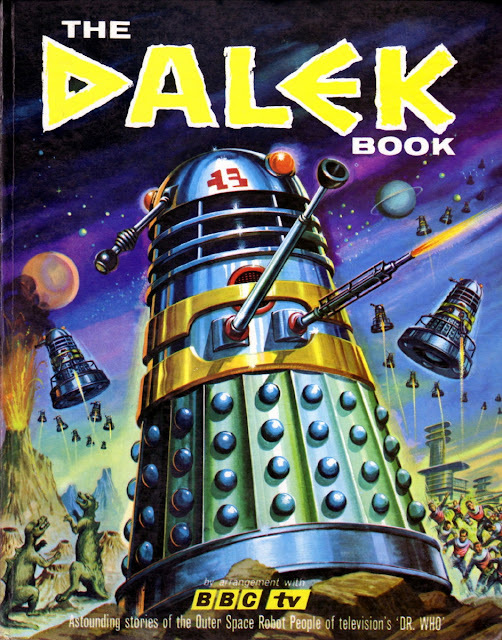 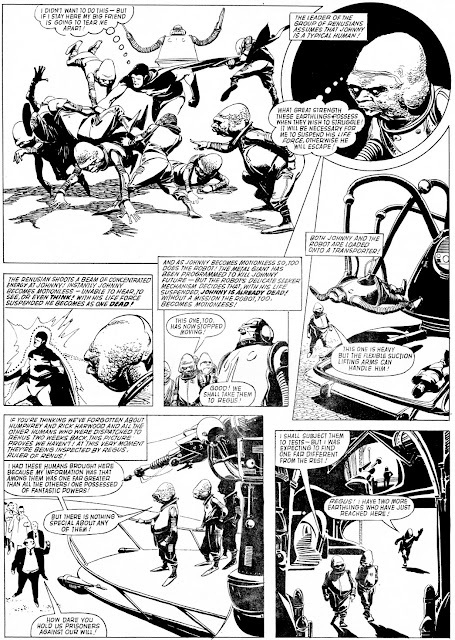 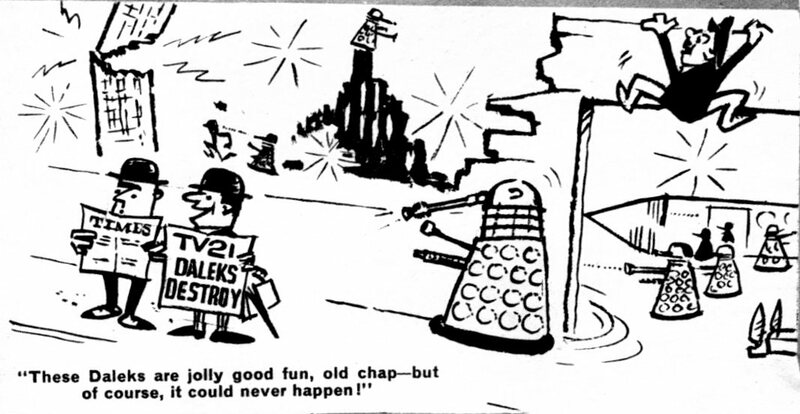 Surprisingly, The DALEKS never showed up in comic-strip form in any of the TV21 Annuals or Specials, but they made a 'cameo' appearance on one of the joke pages of the 1965 'Extra', so I've included that here also, for all fans of TERRY NATION's and RAY CUSICK's metal-cased, mental mutants. Two shillings is a sum which normally would've been beyond my means back in 1965, so I can only assume that a recently visiting uncle or grandparent must've dug into his pocket on departure, in observance of that curious custom where adult relatives attempt to ingratiate themselves in the hearts and minds of their siblings' or childrens' offspring. 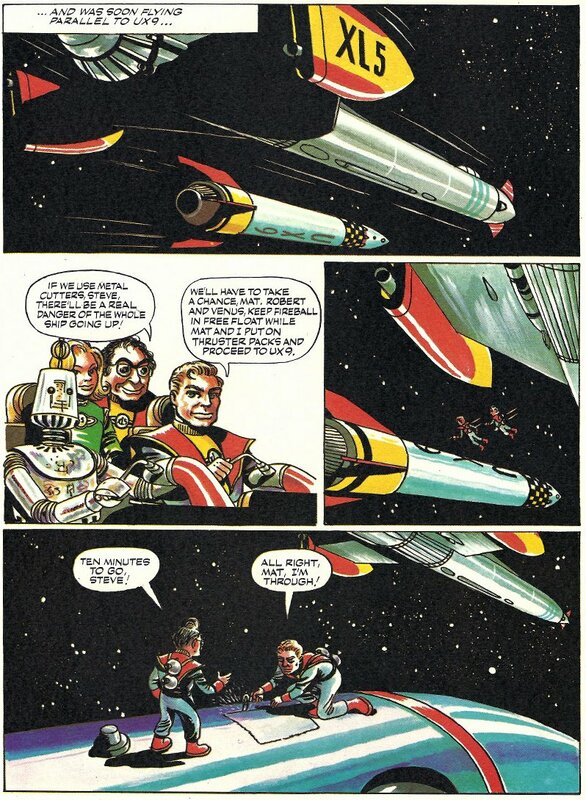 Thank goodness for it, is what I say - it was always more than welcome. The comics' contents consisted mainly of DC issues, hence titles like SUPERMAN DOUBLE DOUBLE COMICS, ACTION COMICS DOUBLE DOUBLE COMICS, etc. However, occasionally the odd MARVEL mag found itself included, squeezed 'self-consciously' between a JLA tale and a BLACK-HAWK adventure. Essentially, they were 'pot luck' comics, because these omnibus mags (with the same covers) could sometimes contain a completely different mix to one another. One thing they certainly were, though, was value for money, as four mags for the price of two was not to be sneezed at. And just think - it's the only one of its kind in existence! 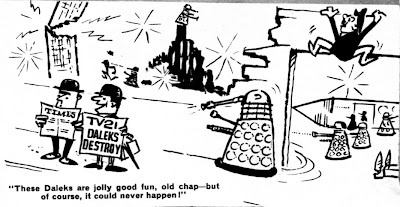 and the British way of life? 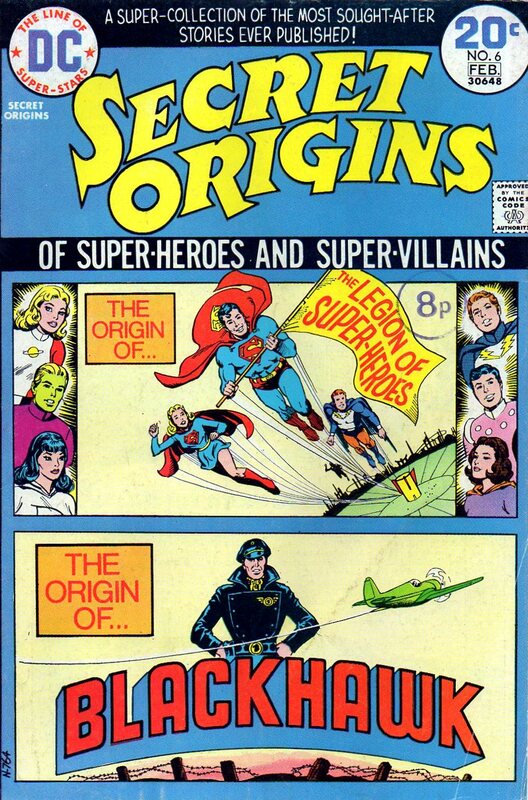 Of course you were! 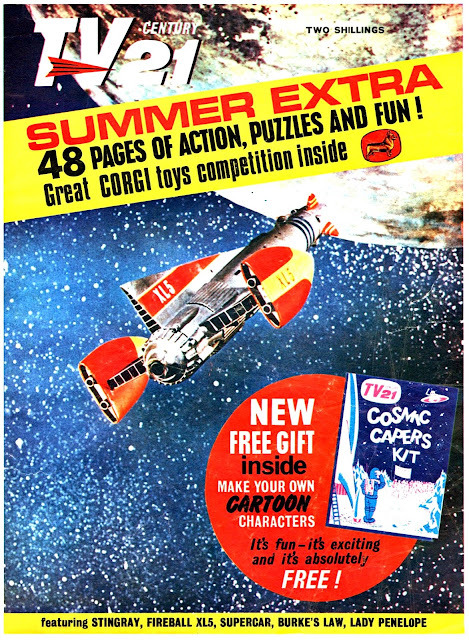 from it any longer - get stuck right in! when Britain still had what could be described as a thriving comics industry. 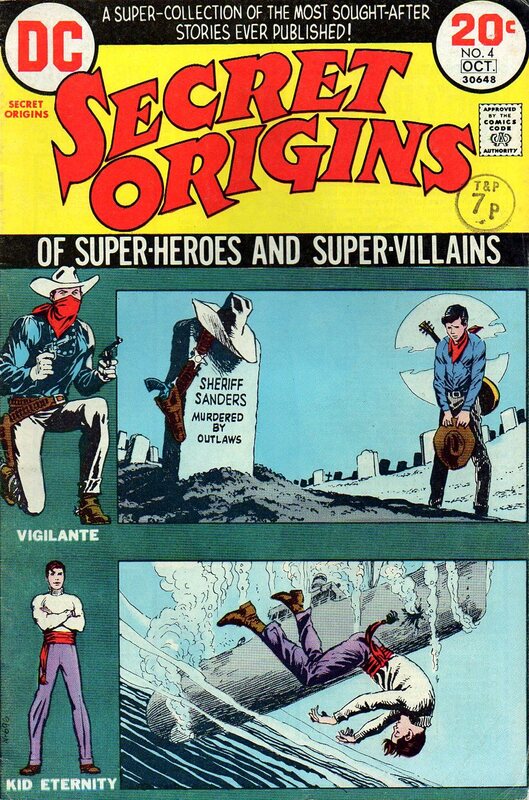 that kicked off the feature back in 1969.
the stories were reprints from Smash! 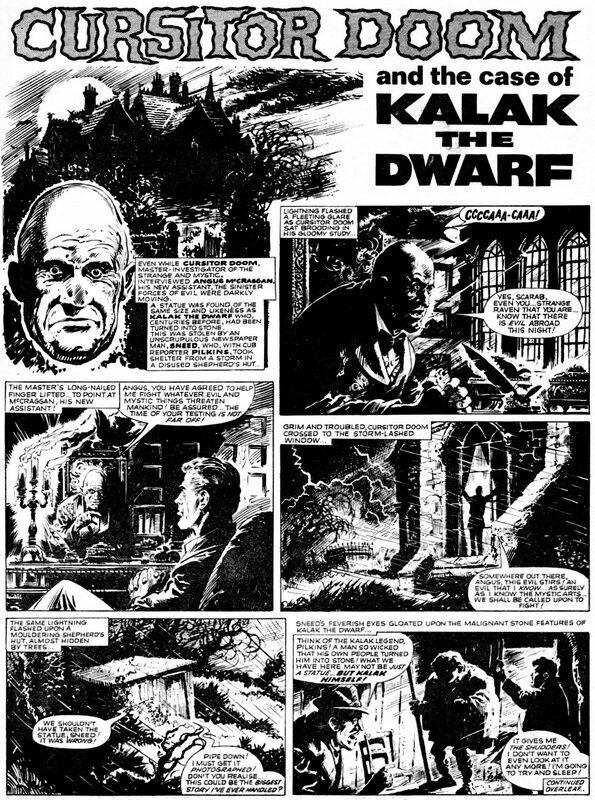 ing episode in the continuing case of KALAK The DWARF! 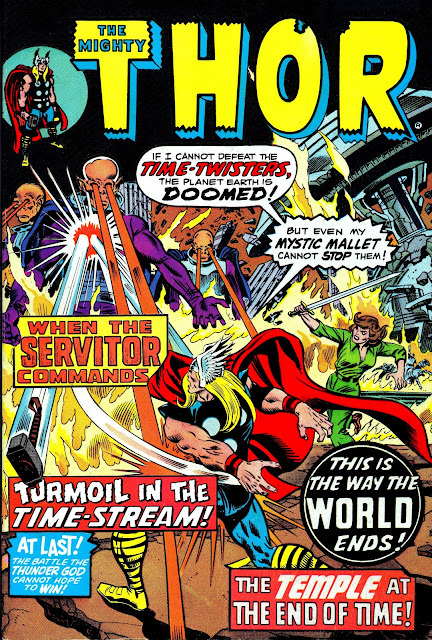 Don't miss Part Two for another tale of the 'Marvel of the Age'! 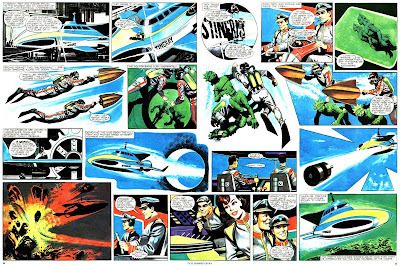 on its 75th birthday last year, it's a masterclass in how to do comics right. 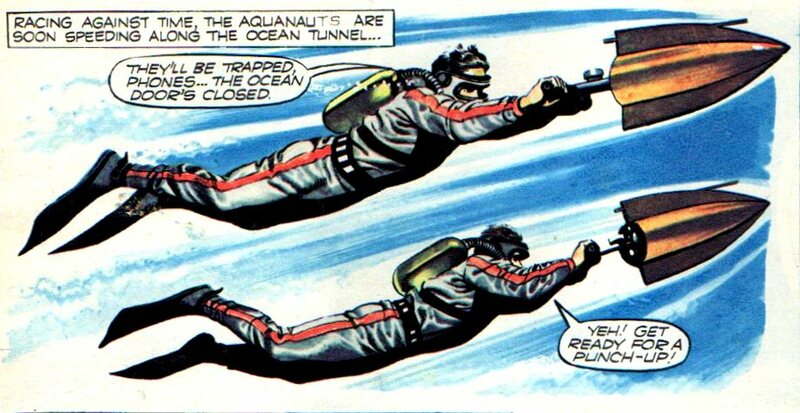 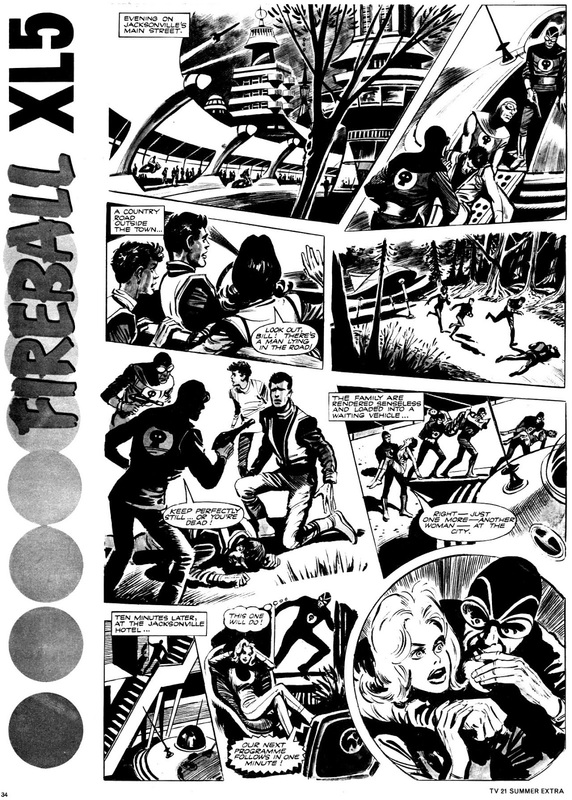 In case you thought I'd forgotten, here's part three of the FIREBALL XL5 adventure (from TV CENTURY 21 #3, cover-dated February 6th 2065) wherein COLONEL STEVE ZODIAC and his crew encounter the mysterious BATMEN from outer space. 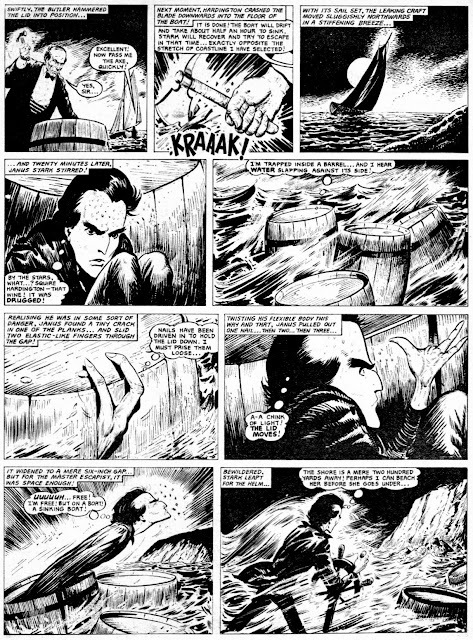 If you haven't yet read the previous instalments, this tale has never been reprinted in comics, magazines or books since it was first published a hundred years ago in the future (if you know what I mean), so you're being treated to a rare and wonderful delight. 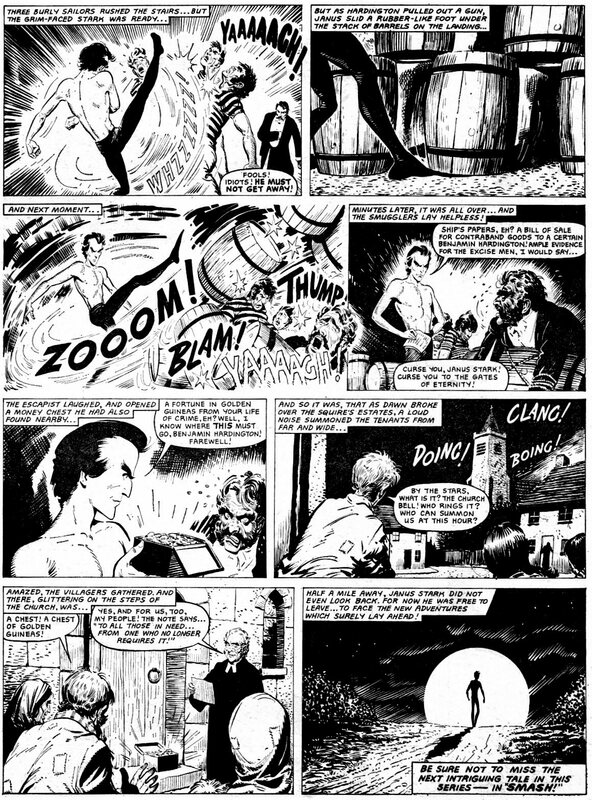 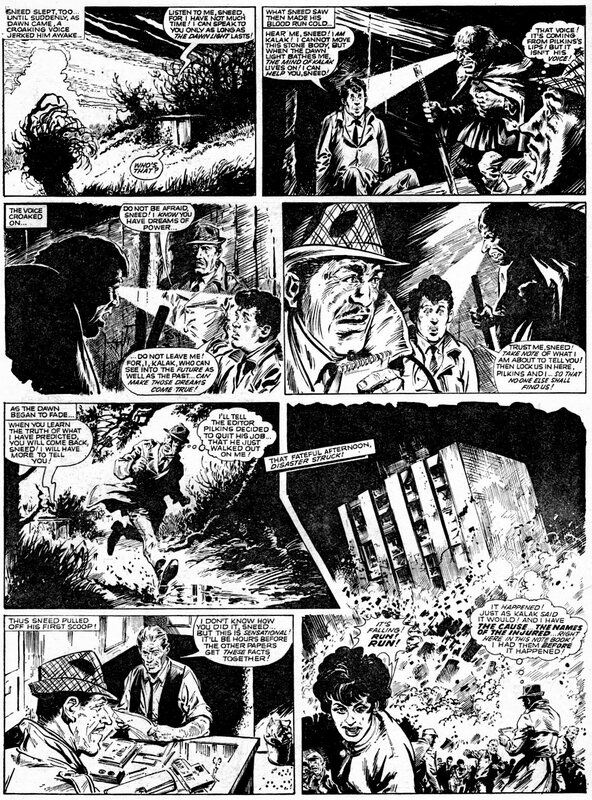 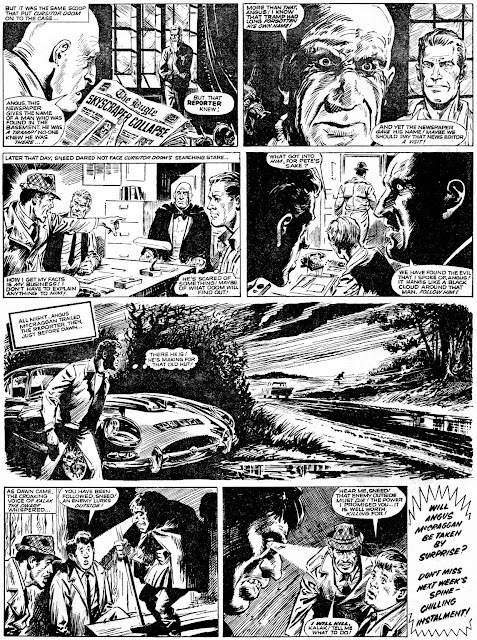 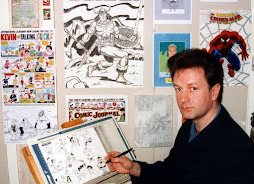 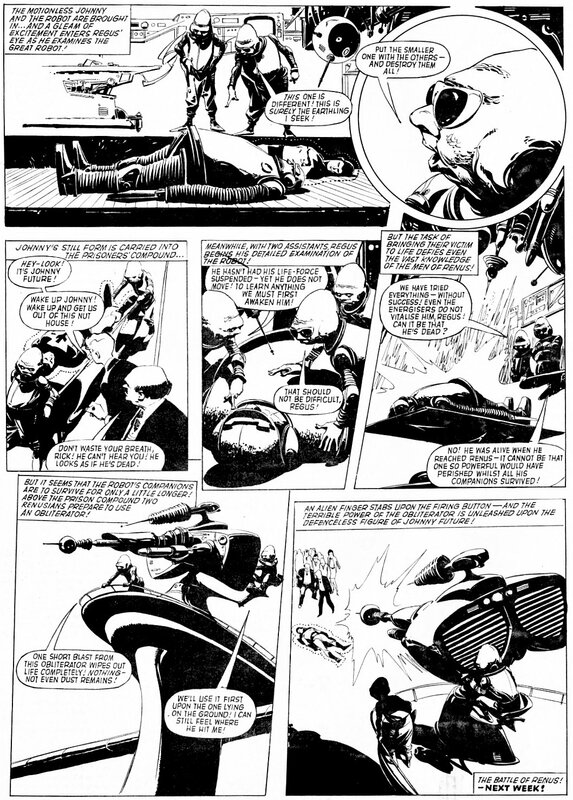 GRAHAM COTON is the artist, but he would be replaced by MIKE NOBLE in issue #6 because editor ALAN FENNELL wasn't too impressed with Graham's take on the strip. 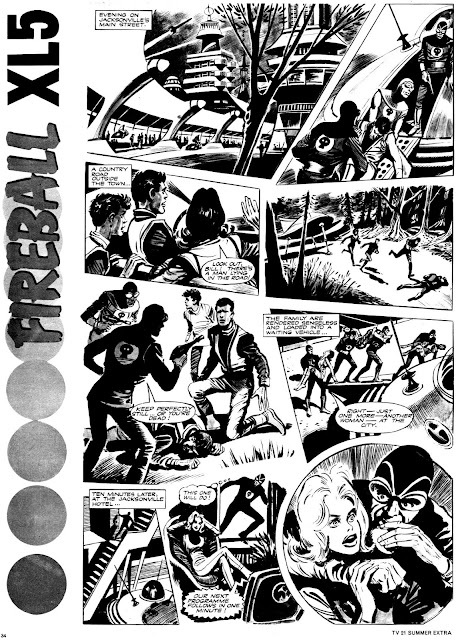 Personally, I quite like it, but it has to be admitted that Mike Noble was the Fireball artist. 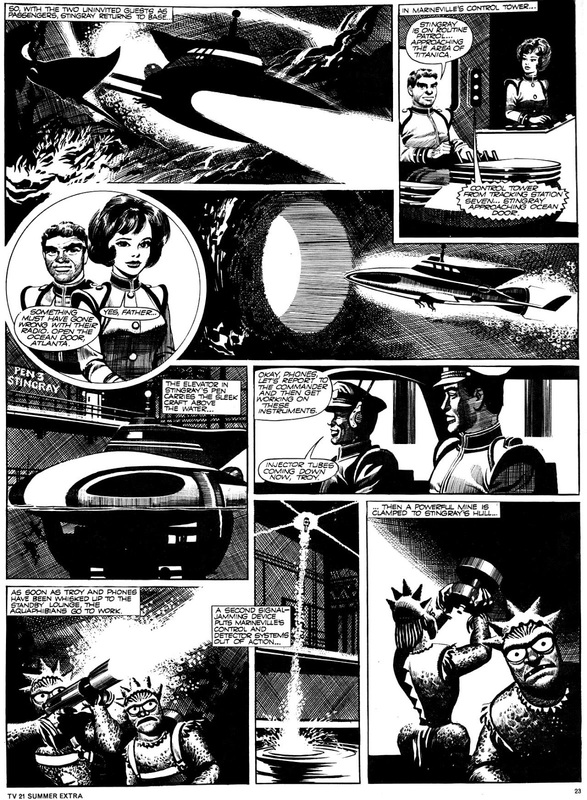 Look out for Part Four soon. 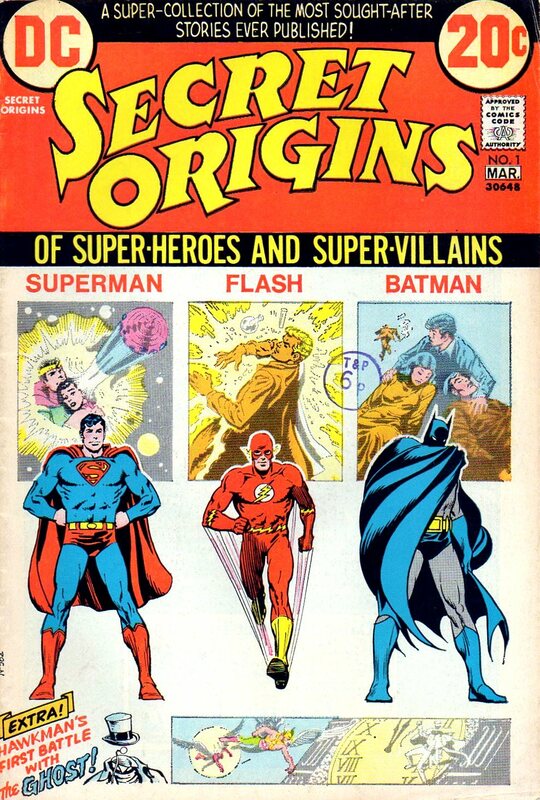 others will have different strips with which they associate him. summons - for it will not be denied. 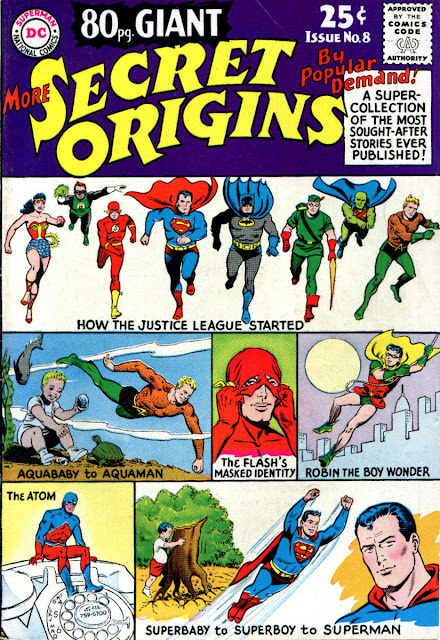 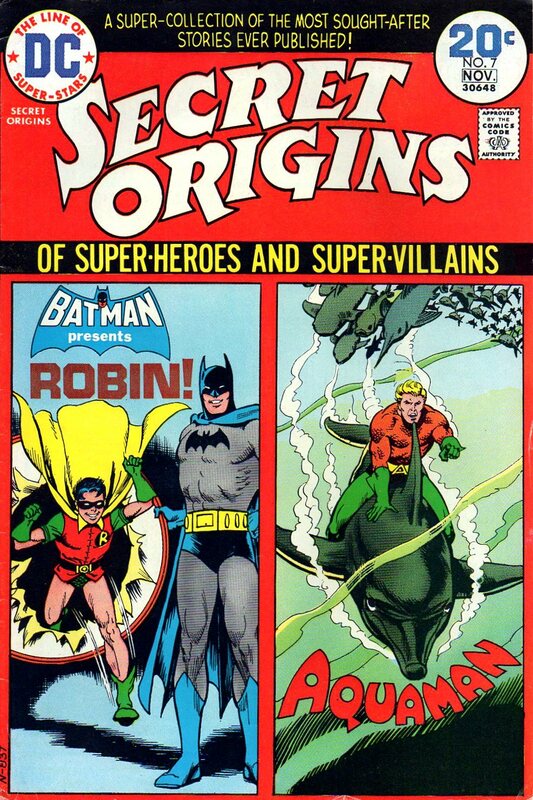 From 1973-'74, DC COMICS (then still officially known as NATIONAL PERIODICAL PUBLICATIONS) released a 7-issue series following on from their two 1960s GIANT-SIZE Specials of the same title - SECRET ORIGINS. 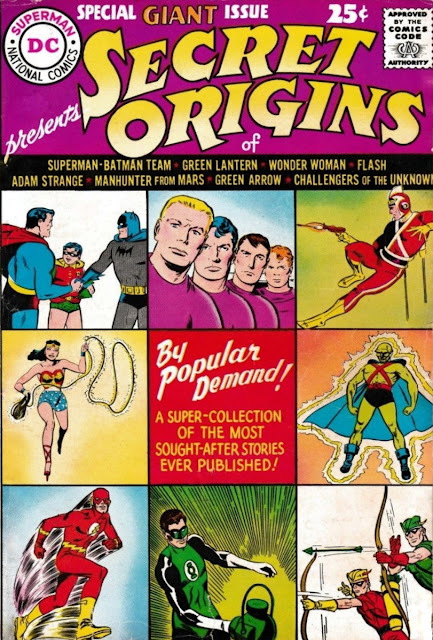 Starting with a reprint of SUPERMAN's one page introduction from ACTION COMICS #1 (not seen since 1938), The FLASH from SHOWCASE #4, and BATMAN from DETECTIVE COMICS #33, the short-lived run featured the origins of several of DC's top-tier heroes and vile villains. 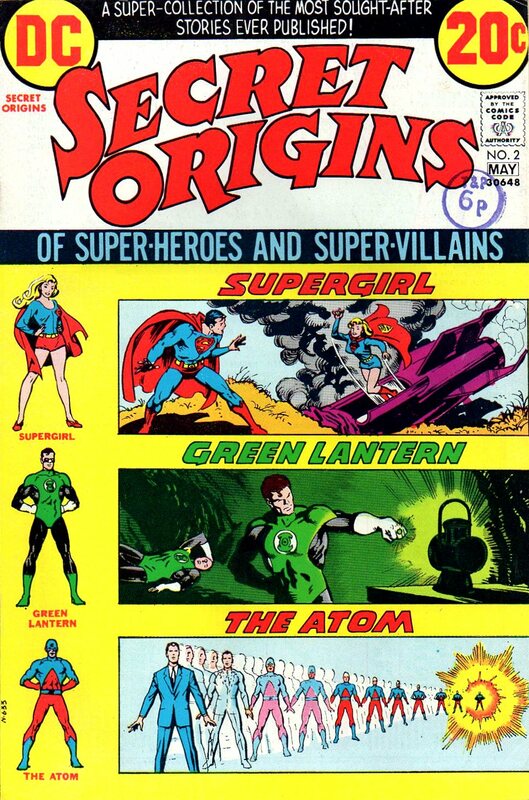 It's a nice little set to have in one's collection, so just in case you're interested in tracking it down, here are the covers to help you identify them. 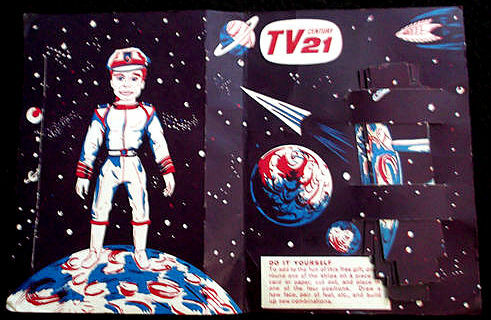 Don't say I ain't good to you. 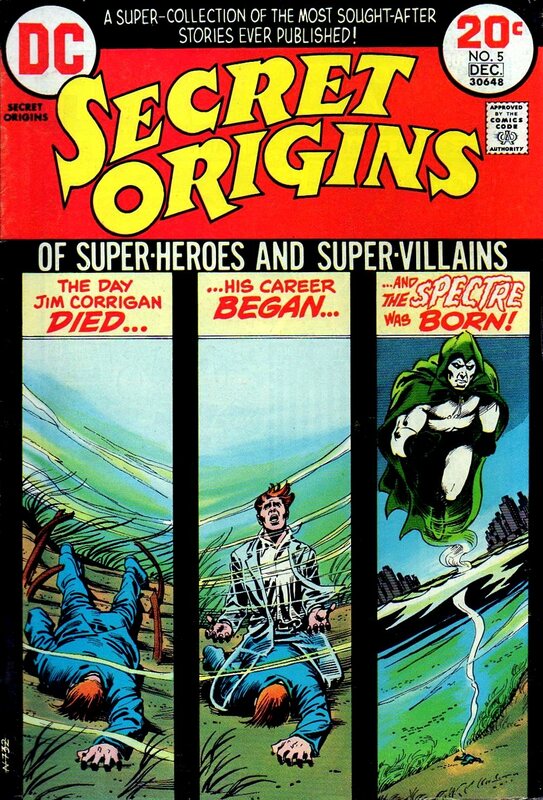 And, for completists, below are the two Specials that started it all. The first is from 1961, the second from 1965. 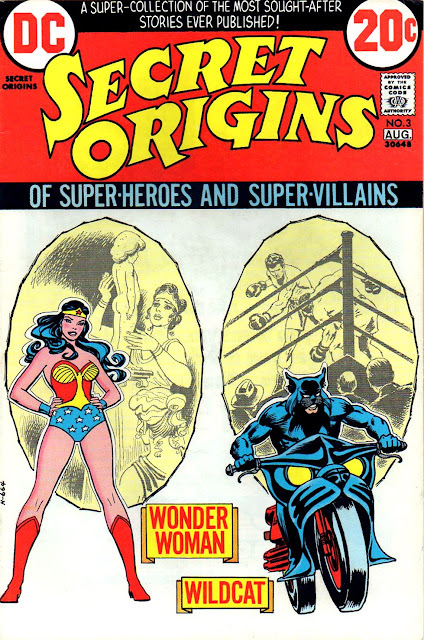 Maybe I should change the title of this post to Nine Secret Origins? 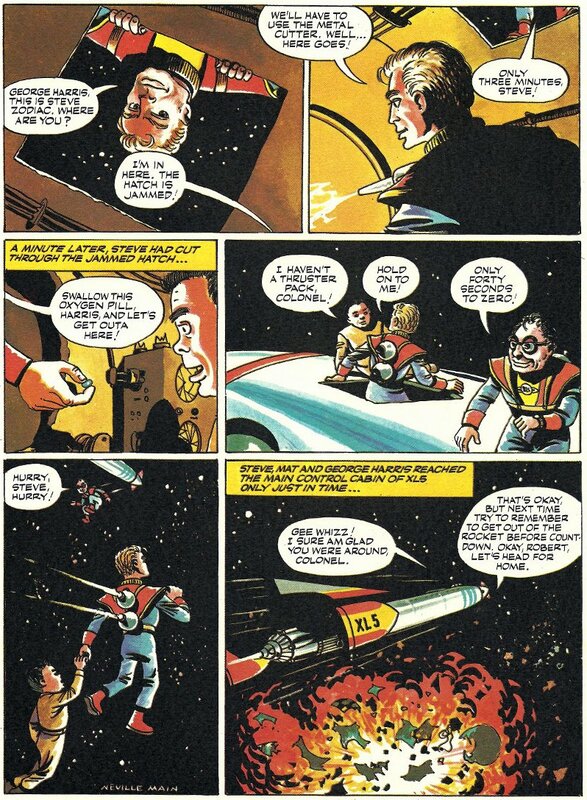 Or should that be 29, if I count the individual tales? 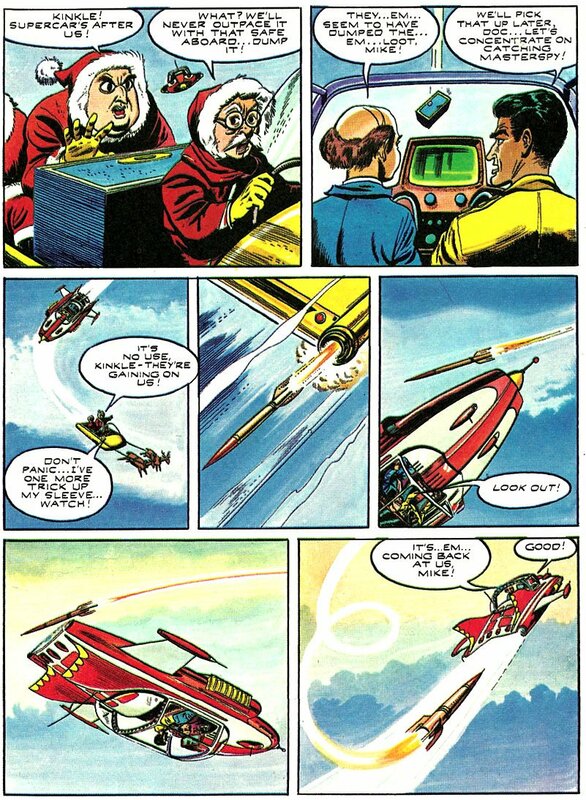 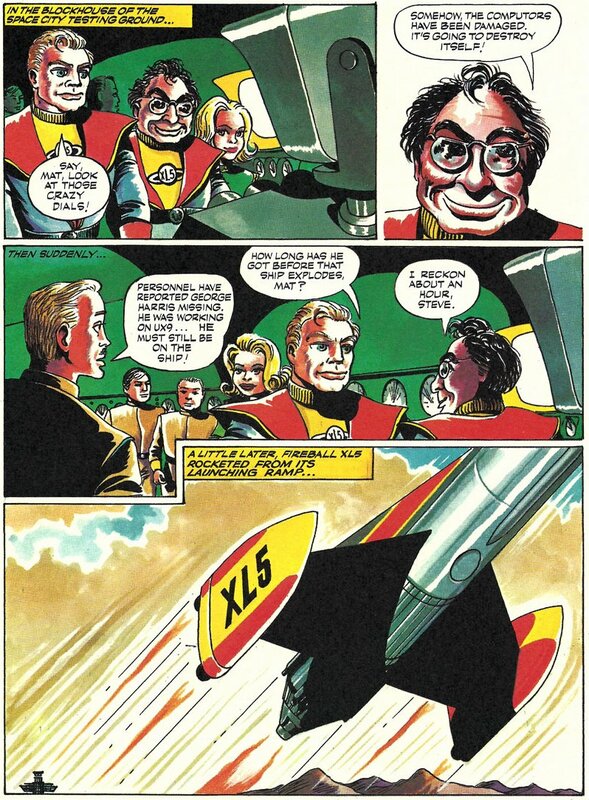 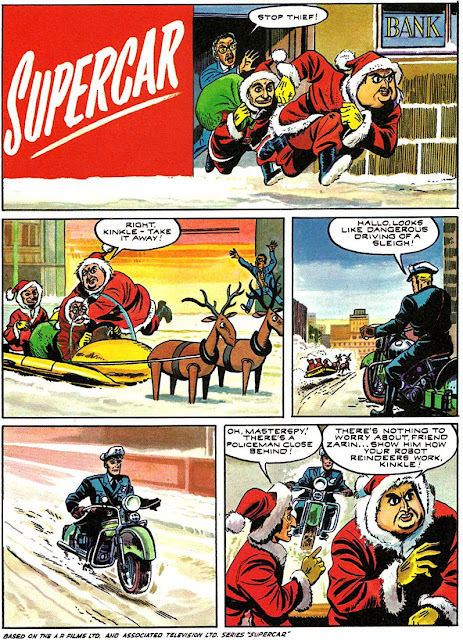 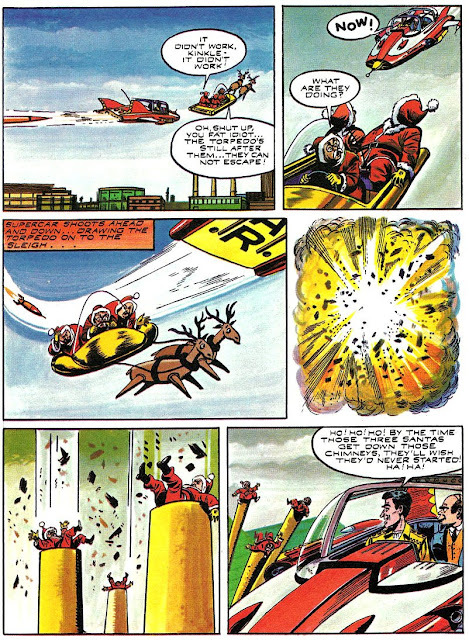 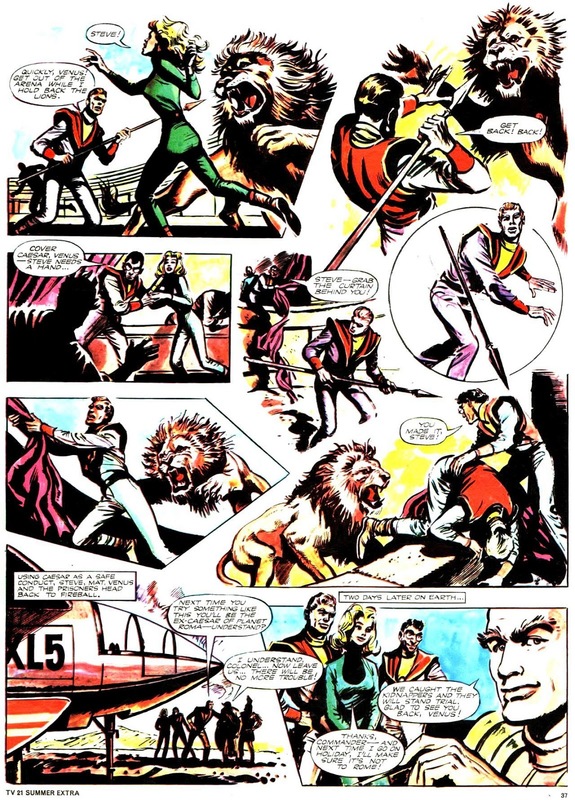 I now present the second FIREBALL XL5 story from the TV COMIC Annual for 1964. 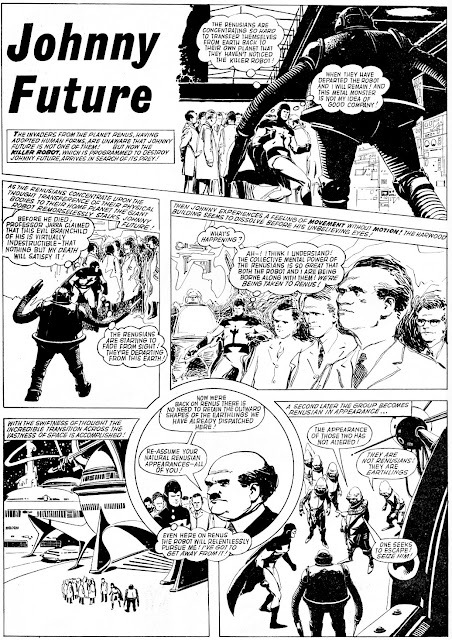 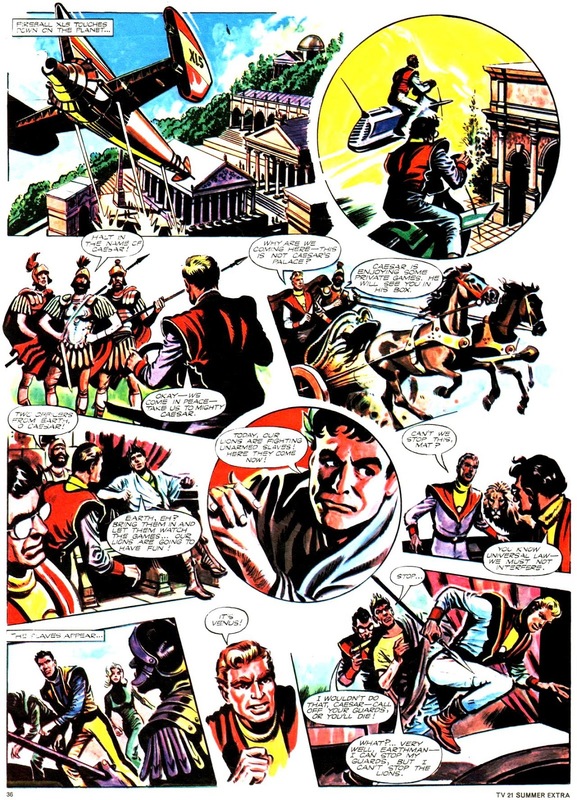 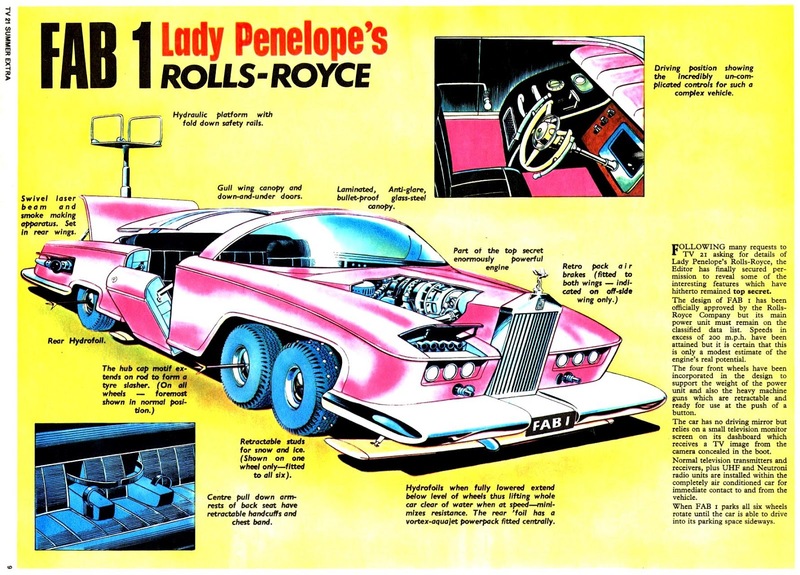 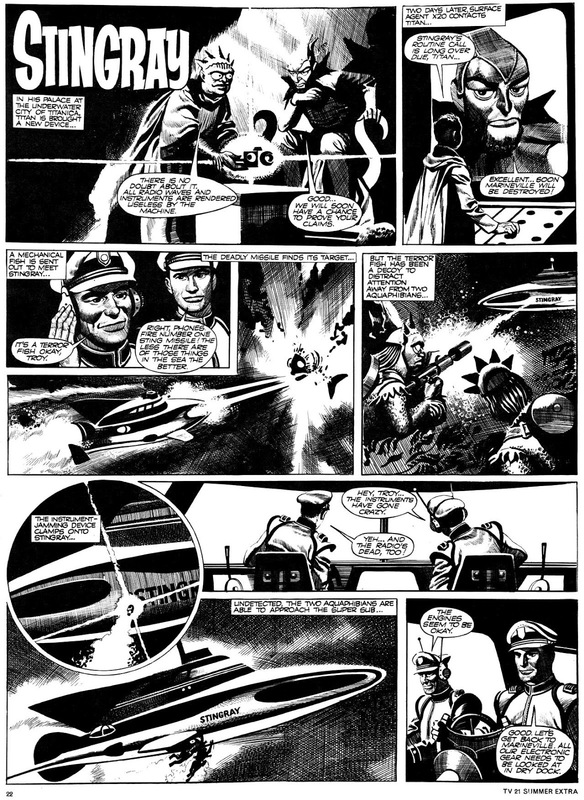 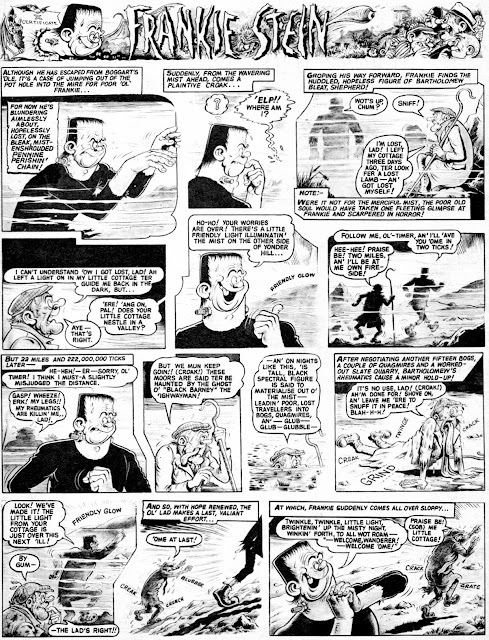 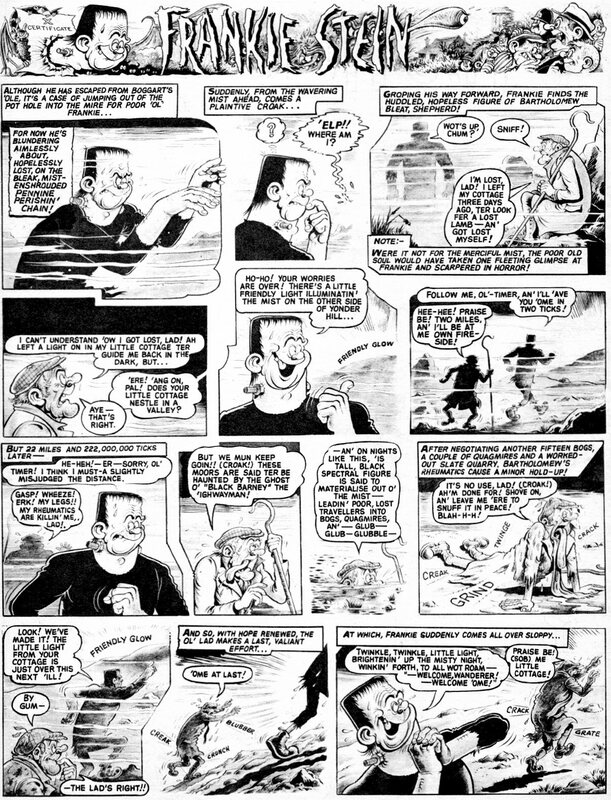 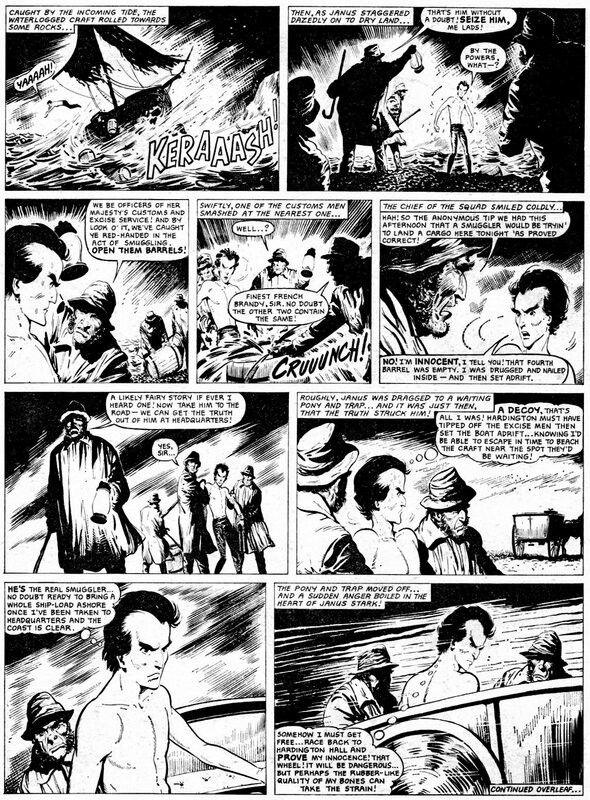 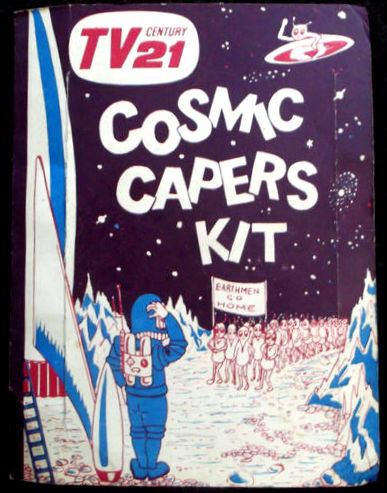 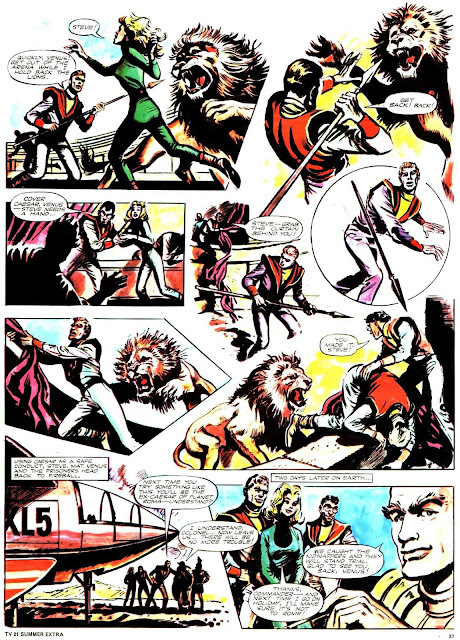 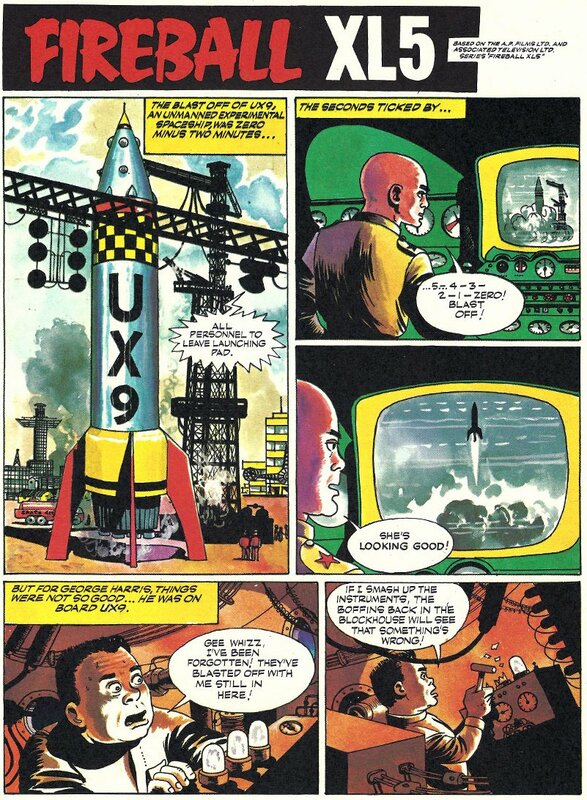 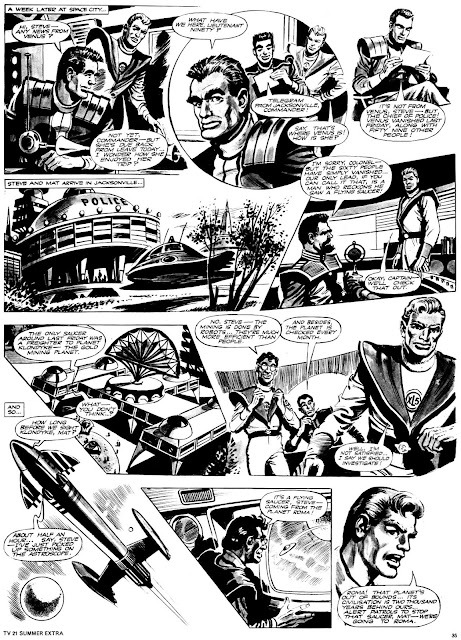 Artist NEVILLE MAIN does a good job in capturing the look of the TV show, considering that the tale was aimed at a younger readership than the MIKE NOBLE strips in TV CENTURY 21. 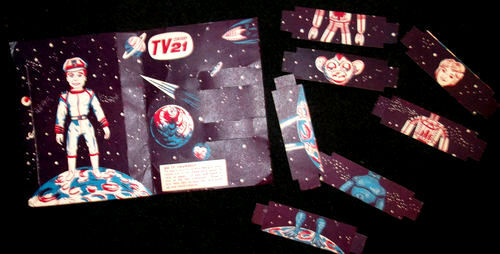 The editor of TV21 for its first three years was ALAN FENNELL, who also wrote scripts for various GERRY ANDERSON TV shows. 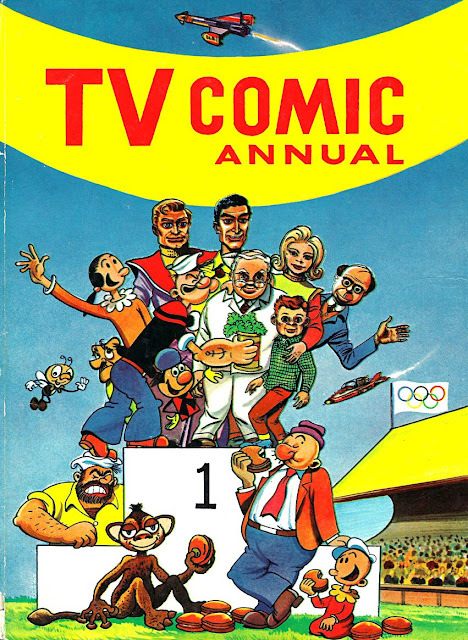 Having been involved with TV Comic prior to TV21, it's not altogether unlikely that he may have written the above story, though obviously I can't say whether he did or not with any certainty. Anyway, enjoy the adventures of the XL5 crew and remember to look out for more in upcoming posts. 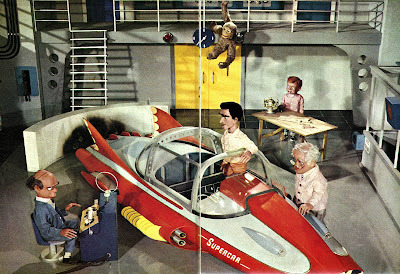 JUST WHERE IS YOGI BEAR? 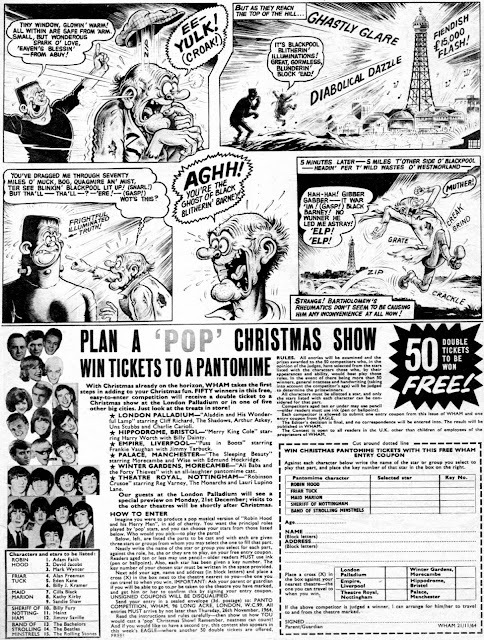 WHERE WERE YOU IN SEPTEMBER 1967?